Debra’s initial love for movement was the inspiration for pursuing a profession as a holistic practitioner. For over three decades, Debra immersed herself into the study of Somatic Movement education. Much of her expertise comes from her commitment and passion to learn and understand. Dance, Feldenkrais, Body-Mind Centering, Laban- Bartanieff, Pilates, Gyrotonic and Yoga are the foundation for her work. In addition, Debra’s desire for integrated knowledge extended her studies into anatomy, physiology, biomechanics, osteopathy, quantum physics and science. These studies earned Debra a B.A. in Dance, Certification as Laban Movement Analyst, a license as Physical Therapy Assistant, Certifications in Pilates and Gyrotonic and many thousands of hours of study in Cranio-Sacral therapy, Integrative Manual Therapy and more recently the Lauren Berry Method. For the last 10 years, her latest studies are in in the field of energy training with Lynda Caesara, a renowned bodyworker and founder of a method called the “Basics”. This focus was an important component to all of her previous training as it refined and affirmed her perceptual skills which are an essential part of developing a session. 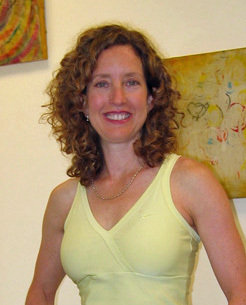 Her interest in helping people make changes in their bodies and lives is accomplished by asking questions and observing the body and it’s posture.With receptive eyes and hands Debra and her client create a unique session which includes postural assessment, movement education, corrective bodywork as needed and coherent “listening”. Each component whether it’s an exercise or bodywork, is “on purpose” and meant to guide the session and take the client to a heightened place of embodiment, enjoyment and equilibrium that ultimately results in positive changes.